Home > Insights > Blog > 3 Ways You Can Save Costs on Networking Decisions! 3 Ways You Can Save Costs on Networking Decisions! The efficiency of your organisation today depends on the ability to allow employees to access information anywhere, anytime and from any device in real time. It wouldn’t be wrong to say that a stable, robust and agile network infrastructure base is the strongest foundation to achieve scale for enterprise with strong business model. Today, information is power and business dynamics demands availability of information round the clock. CXOs and IT managers today simply cannot escape the burden of cost optimisation, and technology is a major cost. IT expenditures are driven by ROI and IT leaders find the walk on the edge of utility vs costs, a sharp blade to negotiate on. Efficiency (cost and operational) then usually becomes the deciding factor in the networking technology strategy. With the right technologies and platform in place, it may even be possible to tilt the balance on the side of cost optimisation, without compromising on efficiency or security. It’s a big investment, so ask the relevant questions and make prudent choices. You need a network platform that not only provides basic connectivity but also the base for next generation applications that allow innovative add-ons. Investments in a network deployment that can be automated, has intuitive abilities and can be relied upon to be secure and agile – ensure maximum RoI. While analysing the TCO of a network platform, also consider the costs of support, energy, and product life. Ensuring these do not become ambiguous issues later on, helps to save costs upfront. Then, it’s time to look into the actual business benefits. These could cover the absence of (or minimal) downtime, productivity enhancement such as network uptime, user productivity, and security. These, is handled judiciously, will ensure optimal costs savings. Adaptive network architecture – To accommodate new emerging applications as demand persists. Open, Scalable and software driven architecture to meet the need of today & future. Reduced power consumption – By device itself to operate and cooling requirement. Visibility through management platform to reduce man-hour spent during critical time. Opting for a single vendor network infrastructure has its advantages, the biggest one being cost optimisation it offers! A single line service, a singular helpdesk and a single point of contact for support, should be your objective. While juggling various products to get a network infrastructure in place may initially look like it saves some of your budget, in the long run, that will not be the case. A composite vendor environment demands a skilled manager, and that is in itself a cost. Allowing a single vendor to take care of your end to end network integration saves that cost, as well as squarely places the onus of zero downtime on the vendor. This means resources and complexity saved at your end, leaving your skilled resources to attend to more significant operations – like the growth of your business! Network monitoring is every bit as critical as the network itself. In fact, not monitoring the network is the single biggest mistake enterprises make, which makes them vulnerable to all sorts of risks- security, downtime and even excessive energy usage- all definitive extra and huge costs. Enterprises ignorant of what links are down and what points are vulnerable, are completely exposed to all sorts of risks. Real time analysis and monitoring of the network is a must to detect any anomalies. Each of the network applications should be trained to identify anything amiss- by way of predictive and pre-emptive analysis. Of course, the biggest beneficiary of real time network monitoring will be security assessment. Given that security breach could also trigger the biggest losses, the investment in a monitoring app is certainly worth every bit. Of course, the key here is proactive monitoring and immediate action on an anomaly, without waiting for it to mushroom into a threat. However, monitoring need not be a huge and excessive expenditure. The whole operation of purchasing, maintaining and integrating costly paraphernalia for network monitoring will defeat the purpose. So, for optimal monitoring at minimum costs, it may be smart if the network team develops the base requirement for visibility and troubleshooting during the instances of upgrades or new installation of networks. This will prevent downtime, and yet ensure constant monitoring tools are up and running- saving incident costs. There has been tremendous innovation in networking technologies, including software defined networking (SDN), network function virtualization (NFV), overlay networks, open API’s, cloud management, orchestration, analytics and more. These innovations have great promise to improve operational efficiency and enable digital applications. However, the real life challenge of adopting new technologies has resulted in a slow adoption of these innovations. What the CIOs need to do is draw an architecture that integrates the critical innovations in networking (that includes these technologies) in their roadmap for new features. This will not only help to improve process and productivity within the organisation but also reduce operational cost to manage infrastructure and ensure that it is adaptable to meet demands of new applications roll out. Business Head-Collaboration services, Sify Technologies Limited. 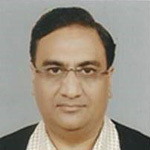 Sanjay is a senior executive, Multi certified expert in Collaborative solutions including Video conferencing ,cloud based unified communications, Voice ,Audio video solution for Enterprise, SMB ,BFSI etc with near two & half decades of experience and exposure in Cloud based Unified Communication, Video conferencing, Voice &AV solutions ; Sanjay has Global exposure also .He contributed in large projects in various capacities in VC/Telepresence/Cloud based web conferencing ,Audio Video solutions along with Voice & RF solutions also. Sanjay worked as Business Developments, Sales & Marketing, Project Executions etc. deals in companies like HAL, GAIL, SBI, LIC, L&T & Education Institutes like IITs, Government bodies like NIC also. Sanjay worked with HCL Info systems Ltd in various capacities and US OEM Clearone Inc. also.